PODCAST ALERT: It’s been told many times – but which version takes you up, up and away? But it’s all about the details, right? Was Clark ever Superboy? Are the Kents alive or dead? What was Krypton like? What does that S stand for anyway? Until the mid-’80s, Superman’s origin broke down two basic ways: There was the Golden Age version (later christened Earth-Two) where he was never Superboy, and the Silver/Bronze Age version (Earth-One), where not only was he the Boy of Steel, he was a member of the Legion of Super-Heroes. There’s much more to it than that, of course — how he met Lois, where Lex Luthor fits in, whether other Kryptonians survived, etc. — but you get the gist. And now we’re there again – sort of – with Brian Michael Bendis’ The Man of Steel, which isn’t a full-on origin reboot but is creating a significant new angle to the myth: the role of Rogol Zaar in Krypton’s destruction. So, it seems like a good time to take stock of the many faces of Superman since Crisis on Infinite Earths. 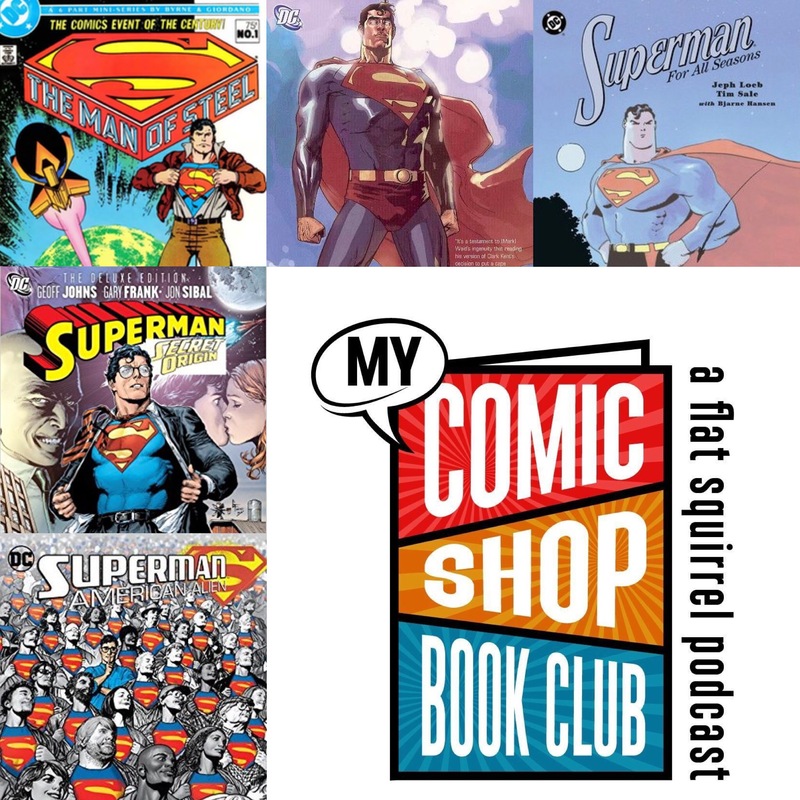 Podcaster Anthony Desiato of My Comic Shop History has put together a special My Comic Shop Book Club episode talking about all these post-Crisis versions of Superman’s start. He asked me to be his guest and we talked about The Man of Steel, by John Byrne; Superman: For All Seasons, by Jeph Loeb, Tim Sale and Bjarne Hansen; Birthright, by Mark Waid and Leinil Francis Yu; Secret Origin by Geoff Johns and Gary Frank; and American Alien, by Max Landis and a team of rotating artists. You can click here to listen and I really encourage you to because we got into the nitty-gritty of what makes Superman work from many different viewpoints. Anthony, on the other hand, favors Birthright. But there’s a lot to be said for the other three series – plus the movies and TV shows. So join us for the talk – and while we’re at it, let us know which Superman origin works best for you. 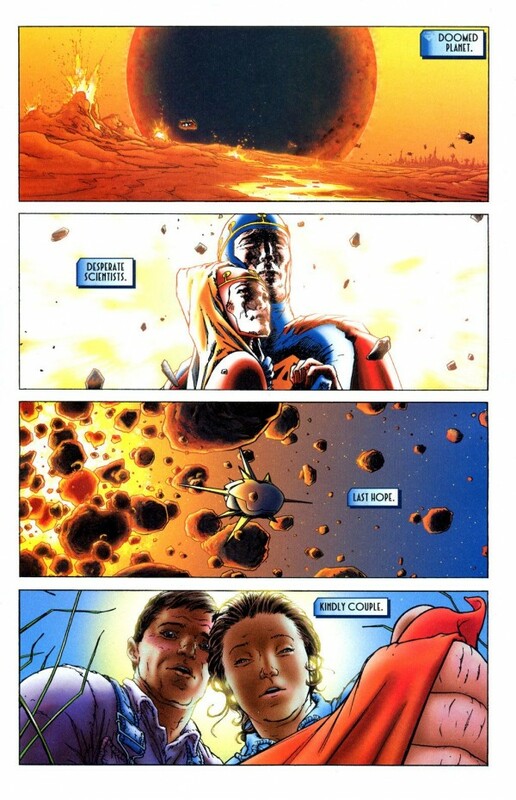 — 13 Reasons SUPERMAN Still Inspires Us After 80 Years, by Anthony Desiato. Click here. Funny how none of the SMALLVILLE-related additions in BIRTHRIGHT stuck.